Early check-in and late checkout are subject to availability and charges may be applied, There is no penalty if a booking is cancelled at least 72 hours prior to arrival. In case of no-show or late cancellation, full cost of the stay will be charged. Valid credit card is required to secure the reservation. Once the reservation is made, customers can cancel and receive a 100% refund if the cancellation is made at least 72 hours ahead of arrival. Cancellations within 72 hours or less are charged the full cost of the stay. Once the reservation is made, customers can cancel and receive a 100% refund if the cancellation is made at least 7 days ahead of arrival. Cancellations 3-7 days ahead of arrival are charged 50% of the full cost of the stay. Cancellations within 72 hours or less are charged the full cost of the stay. A 40% non-refundable deposit is required to secure the reservation. A valid original passport must be presented upon check-in. For Lebanese, a valid National ID card can be presented. Children Policy: A child under 12 years old stays free of charge when using existing bedding with parents or an extra bed. Any type of extra bed or baby cot is upon request and needs to be confirmed by the hotel. Extra Beds are charged $50 per night including breakfast. Parking: Freeparking on the site. Credit Cards: Visa, MasterCard, American Express. All major credit cards are accepted in the hotel. Bkerzay is a conservation project which aims to preserve the natural beauty, traditional crafts, and vernacular architecture of the region. Located in the heart of the Chouf, Bkerzay is the perfect place to reconnect with nature and take a break from urban life. We have a variety of accommodations suitable for families, couples, nature lovers, or special events. 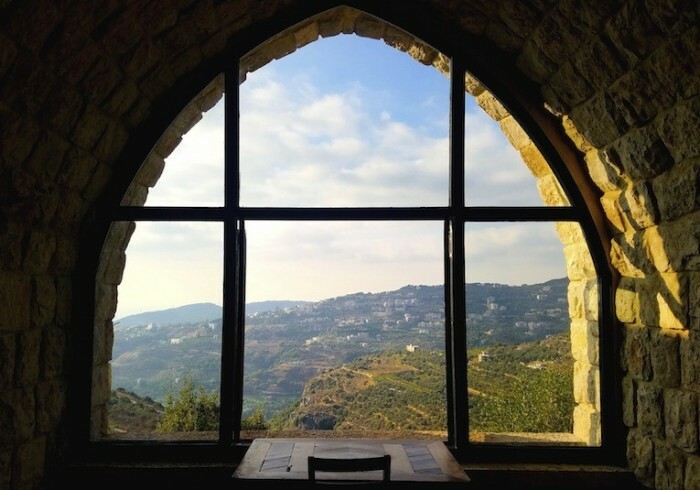 All of our guest houses are built using traditional Lebanese stone architecture that blends into the landscape. The interiors are furnished with vintage pieces in an effort to reduce waste and celebrate rustic design. Spending a night in Bkerzay gives you access to the swimming pool, common areas, and free breakfast at the Bkerzay restaurant.